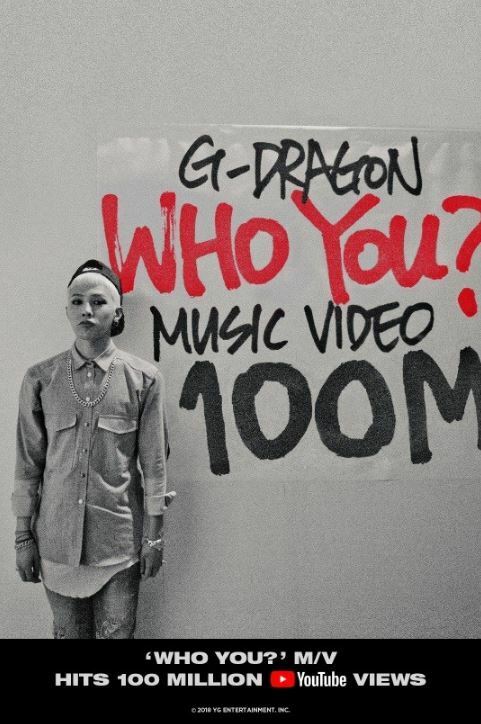 G-Dragon hit another milestone with the music video for “Who You?” as it topped 100 million views on YouTube on Monday. The leader of Big Bang released his second solo EP’s title track in September 2013. The music video was considered special, as more than 1,000 fans participated in its filming by recording G-Dragon performing inside a large glass box and themselves watching the performance from outside. 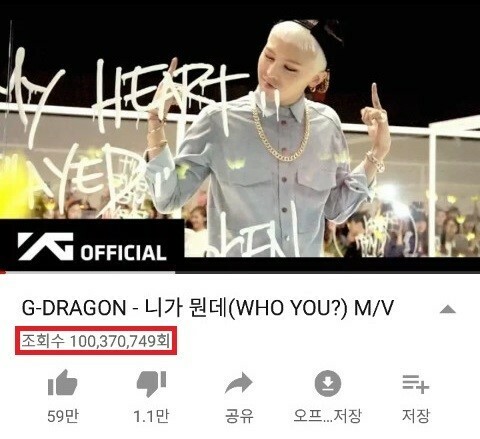 The video showed G-Dragon and the fans from different angles, as multiple clips and photos taken by fans were added in the last part of the video, when credits for the 1,000 fans roll. Currently, all of the group’s bandmates except Seungri are serving their mandatory military duty.